2012 - Thanks For Your Support! 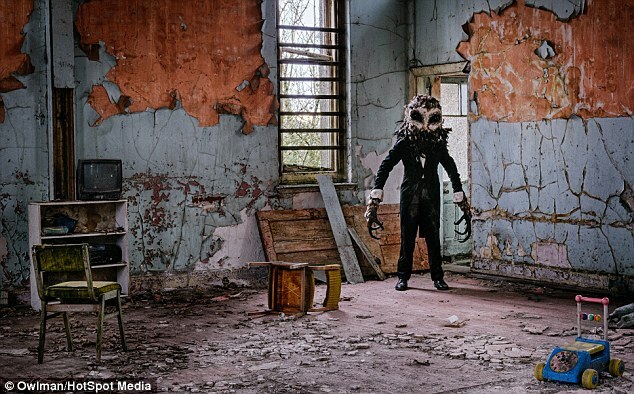 No TV network were showing the game but in our infinite wisdom a few of the New York Owls decided to we would still go down to The Football Factory to LISTEN to the game on Wednesday Player. Now I dont know if youve ever tried to listen to a football match on the radio while in a packed bar full of other supporters watching their games on TV, its not easy. Add to that the fact that the FA Cup Final was being shown directly after the game and the New York Blues (Chelsea) were slowly taking over the entire bar and getting very rowdy as they usually do. We didnt care, we had our 1 TV screen with Jeff and the boys, and the speakers playing Wednesday Player, barely audible over the rabble of the Chelsea boys. About 20 mins into the 1st half the commentary cut off, stopped completely, silence! Panic set in as i ran to the computer at the bar to see what was going on. Our connection looked fine, I could surf the net and everything. It was obviously something at the other end. Minutes passed by without anything coming out of the speakers, we looked at Jeff Stelling for a clue as to what was going at Hillsborough, nothing. After what seemed like hours (but was actually about 5 mins) out of the speakers came a lot of commotion, barely audible shouting from our commentary team, they seemed excited but didnt actually describe what was happening, we looked around at each, other have we scored?! Have we scored and fookin missed it cos of chuffing wednesday player?!?! We couldnt understand a word of what was being said for a while but then we worked it out Antonio had scored! We cheered individually as we still werent 100% convinced until it came on Soccer Saturday and our leader Jeff had set the record straight. Thanks Jeff. The remainder of the game seemed to take flipping ages. especially the last 3mins. Even though we were 2-0 up at that point none of us wanted to celebrate prematurely, we stared vacantly at each other intently listening, it was Wednesday, we could still bugger this up. The whistle blew and we finally relaxed enough to sing a few songs and celebrate, the rest of the bar wondered what the hell was going on as the small crowd in the corner started to out-sing them for a brief second. Jack came over with some champagne on behalf of the Football Factory a really nice touch. 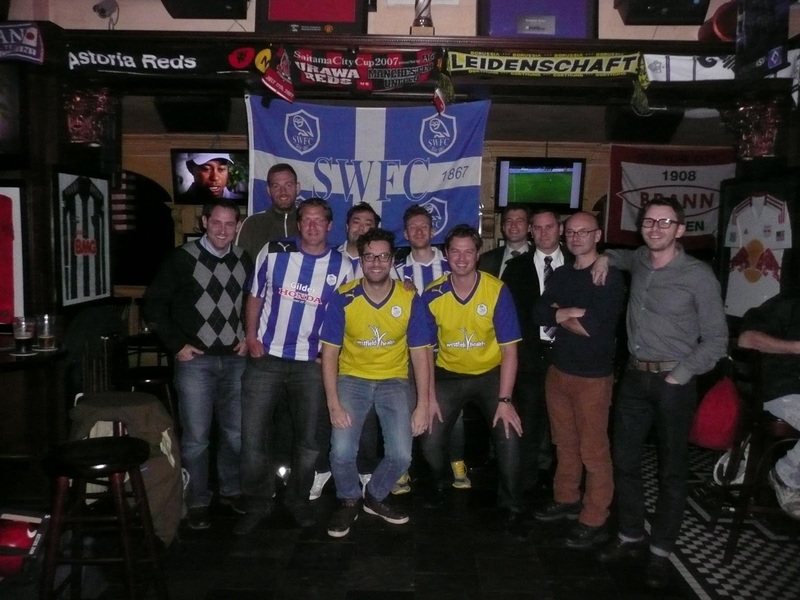 Jacks there with all the supporters clubs for every game, but it takes some commitment to show League 1 games in a bar in NYC for a handful of Wednesdayites at stupid hours in the morning. Jack and Robbie at the Football Factory have been massive supporters of us since the beginning. Top lads! 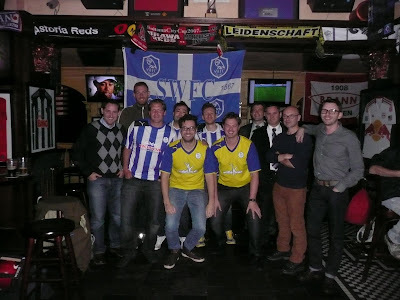 When I started this group in February 2012, I had no idea how much support I'd get from the Wednesday fans back home, without them we wouldnt have reached as many people as we have over here in NYC / NJ. We've got 1700 followers on Twitter and over 430 likes on Facebook, more than a lot of Premiership Supporters clubs. 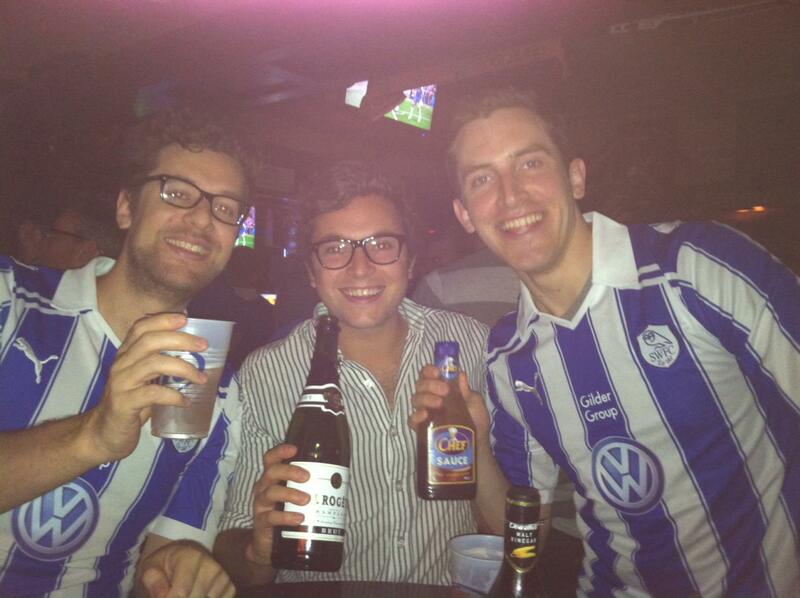 We've also found 27 Wednesday fans in the NYC / NJ area which is what really matters. I know now when I go to to watch the match there'll be a decent crowd of us to get together and have a natter, its a good group so thanks to them too for supporting us and turning up at a bar so early. For 2013 we hope to get a flag sorted for the bar, I'd love to get the club to send us a shirt to go in there too and get on the official website. More than anything though I want to find more Wednesday fans in the area and get em down to the bar to watch the game with us, so if you live here, or are just coming on holiday get in touch.